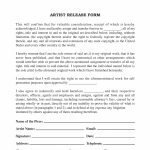 The artist/artwork release form is a document that shall also serve as a receipt from an artist to a buyer with regard to any type of art. Whatever the negotiated arrangement between the artist and the buyer, the form will clearly indicate that the artist has been satisfactorily compensated for the piece. 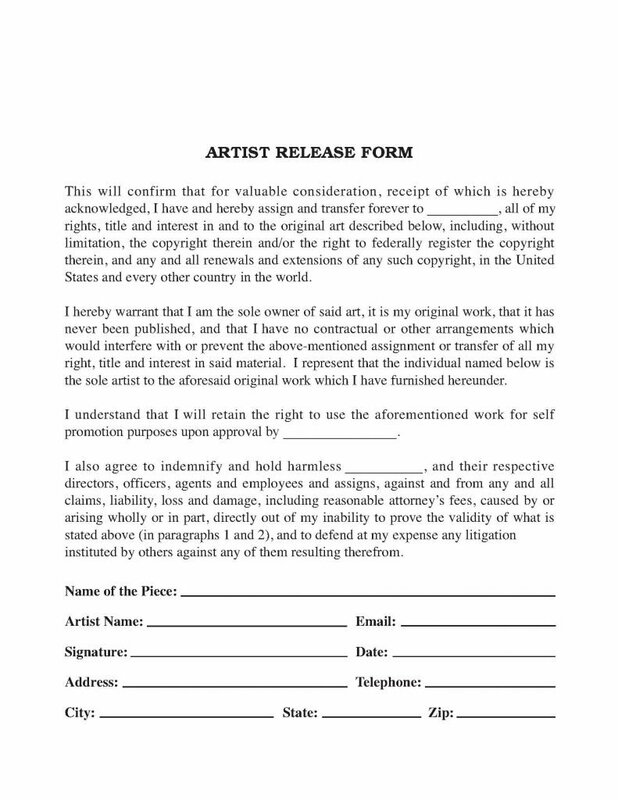 Should there be any legal issues that should arise from the artists inability to prove any stated portion of the document, the buyer and all agents and anyone who is in any way related (work or family) to the buyer, shall be held completely harmless and the artist shall defend their art at their own expense in the event that this claim is ever made against them.